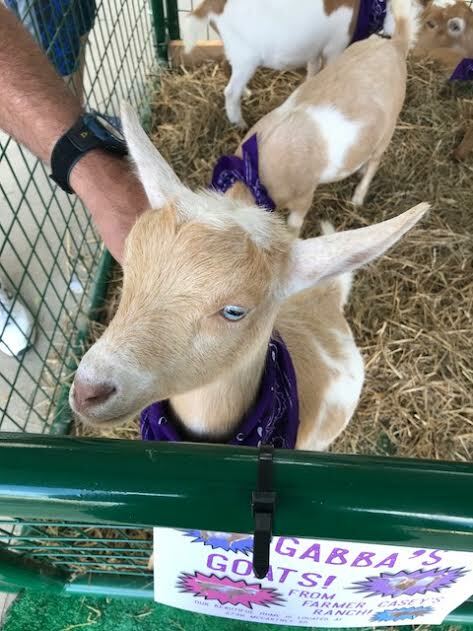 Our Goats Visit Downtown Youngstown : Golden String, Inc.
On September 16, 2018, four of our Nigerian Dwarf goats visited Downtown Youngstown for Oh Wow’s “Silly Science Sunday”. The goats were fed their orchard grass by dozens of children. 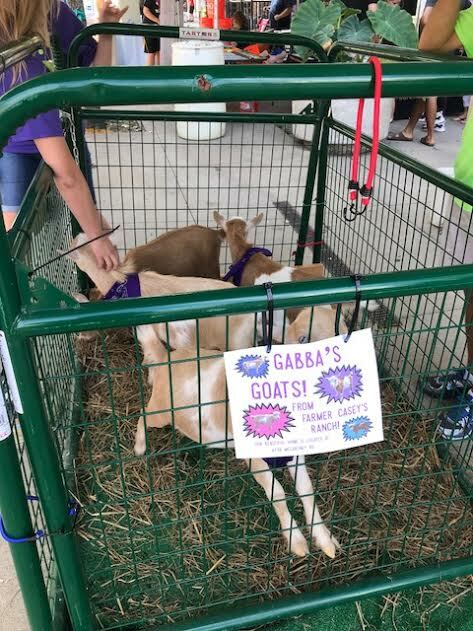 Thank you to Gaba (for loaning out her goats), Tina M. for getting supplies ready, and Jill P. and Howard Martin for clean up. 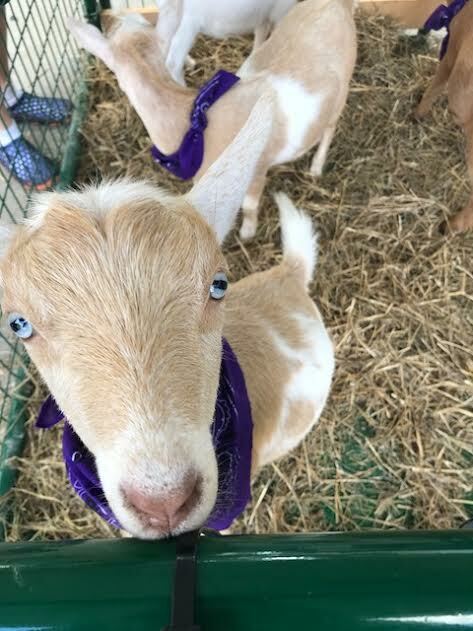 The goats look forward to more delicious field trips!